Mórláthair eaglasta a bhunaigh Fiontan. Téann an fhianaise Ghaeilge i bhfad siar, m.sh. 800c. 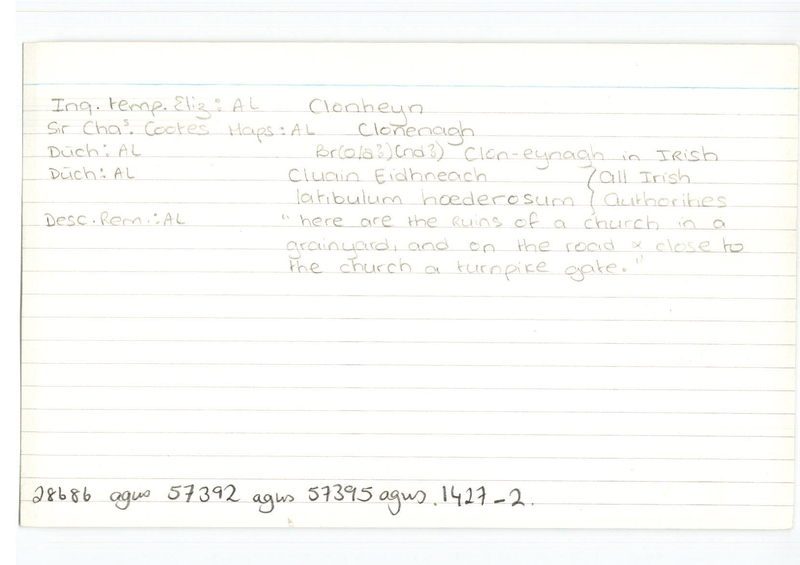 ‘Fintan Clúana Eidnech’, Martyrology of Tallaght. Féach an tuairisc ar na hiarsmaí eaglasta san Fhardal Seandálaíochta (www.archaeology.ie) agus an cur síos breá ar an naomh seo ag Ó Riain, Dictionary of Irish Saints. Féach bf Cluain Caoin (#27848).